Winchester Grange is hosting a large tag sale as part of the Winchester Center Day Community-wide festival, to be held on September 29, 2018, from 10:00 AM - 2:00 PM. The proceeds from the tag sale will benefit FISH/Friends in Service to Humanity of Northwestern Connecticut and Winchester Grange. 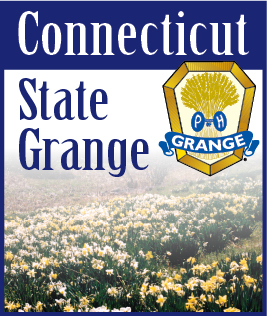 The Grange Hall is located at 100 Newfield Road. The numerous organizations of Winchester Center have each planned events as part of this special community day, including live musical entertainment, a vintage car and motorcycle show, demonstrations and exhibits, historical tours, childrens’ activities, and more. An art show featuring local artists, painting, sculpture, photography, carving and more will be held in the upstairs Grange Hall. Winchester Grange will also be serving their popular Apple Crisp dessert, and luncheon fare from Café 74. For more information e-mail info@WinchesterGrange.org or visit our website at http://www.WinchesterGrange.org. Getting to Winchester Center: From Winsted, take Route 263 to the Winchester Center green. From Torrington, take Newfield Road (at the corner of Winsted Rd. and N. Main St.) to the Winchester Center green.